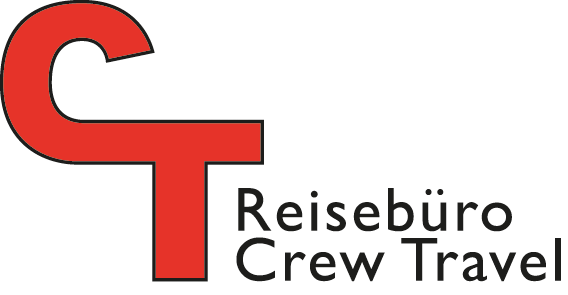 About Us - Der Reisebüro Spezialist in Bülach! 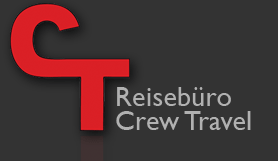 Crew Travel is the right partner for you - whether you plan to travel privately or on business! You are attended to by tourism- and business professionals exclusively. We are familiar with what you talk about and make sure your wishes come true, reliably and effectively. This is a place where you are still advised in a personal and comprehensive way! A cordial welcome to Crew Travel - we are looking forward to meeting you! From Bülach station you reach us in about a ten minutes’ walk. Should you arrive by public bus: Our travel office is situated between the two stops «Sonnenhof» and «Untertor» on bus line 530. Monday through Friday 9 a.m. to 5.30 p.m. Since early 2010 we are a member of Swiss Travel Association of Retailers (STAR) as well as of Swiss Travel Security. Check out our special offers! Different destinations to sensational conditions - but only for a short time! Lay your group travel or incentives in our hands! You will benefit from our long experience.